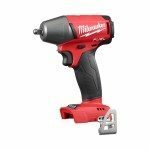 New Tools coming soon by Milwaukee!! Three new high performance green and red beam rotary lasers that deliver advanced battery life and job site durability. These easy to set up and use lasers are designed for long run times and convenient use with rechargeable power tool batteries. The included 2.0 Ah battery provides up to 17 hours of run time. 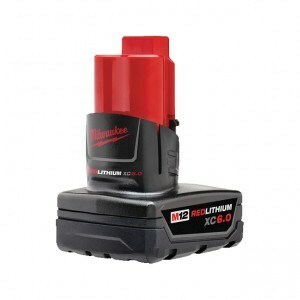 All models run on the full range of 20V MAX batteries. These new models feature an improved drop test rating of 2 meters (approximately 6 ft.) compared to existing DeWalt units – DW074KD & DW079KD. All models come in a DEWALT® TSTAK® Storage Case (DWST17816) with inserts that keep the laser and accessories well organized. The DW079LG DEWALT® 20V MAX* Green Rotary Tough Laser was awarded the 2016 Pro Tool Innovation Test & Measurement Award for Rotary Laser Levels, based on best-in-class innovation, power, and value. Green wavelength is closer to optimal for the human eye – easier to see out to longer distances. Green lasers come at a cost of higher energy consumption, but run time should not be an issue with the DeWalt 20V MAX battery platform. Indoor visibility range 150 ft. 200 ft. 250 ft. 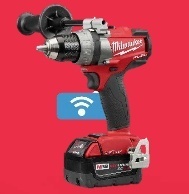 Range with detector 1,500 ft. 2,000 ft. 2,000 ft.
Milwaukee adds new functionality to its ONE-KEY™ app, adding Security to Customization, Reporting and Tracking. 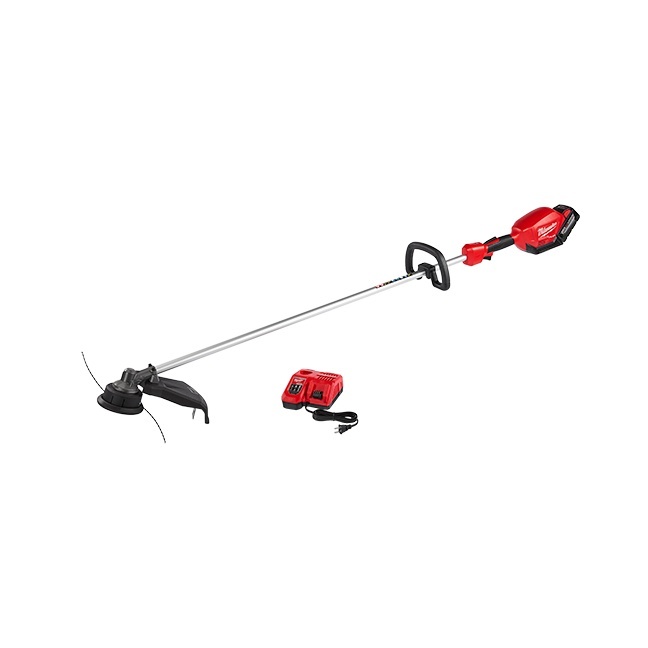 Designed with the power and durability landscape professionals need. On January 5, 2017 Stanley Black & Decker continued expanding product lines with the purchase of the Sears/Craftsman brand for $900 million USD. 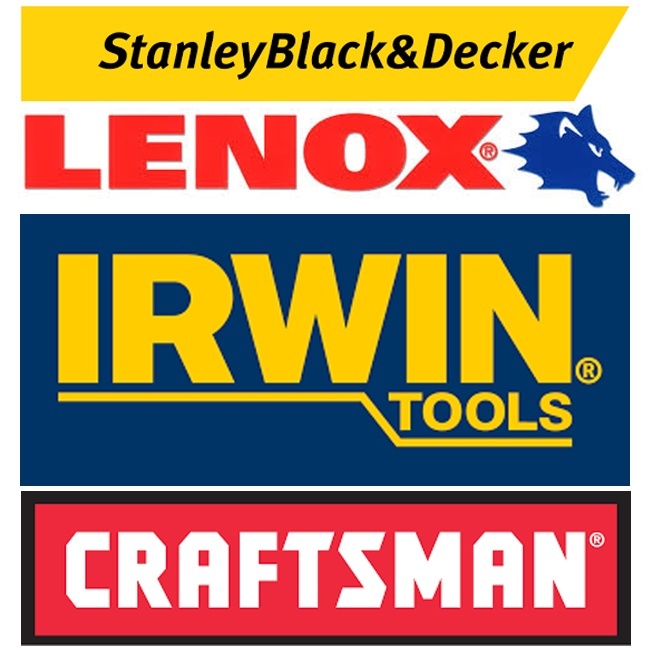 Just last October 2016 Stanley Black & Decker also acquired the Irwin and Lenox tool brands from Newell for $1.95 billion USD. 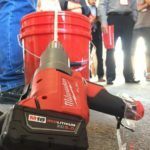 The Craftsman deal will give Stanley Black & Decker the right to make and sell Craftsman-branded products in non-Sears retail, industrial and online sales channels. Meanwhile, Sears will continue to develop, source (but not manufacture ??) and sell Craftsman tools. Not sure how that will work. 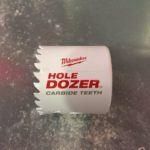 Does Sears have to go to Stanley Black & Decker to get their newly developed tools manufactured? What about Craftsman’s current partners such as Vaughan, Western Forge, Apex Tool Group, TTI and other OEMs? Will they continue to develop and manufacture tools and sell them through Sears? The way the announcement reads, there could be two separate lines of Craftsman tools sold through two different distribution channels. Presumably, Sears will continue selling through its existing network. Stanley Black & Decker will do the same, so we should see Craftsman products in new retail outlets. Home Depot? Lowes? Industrial dealers? 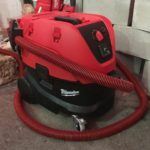 How will Stanley Black & Decker deal with possible duplication of products with their existing brands? Sell them side by side? Eliminate some of them? How will Craftsman’s lifetime guarantees work? Where will you exchange or service tools? Lots of questions looking for answers. I guess we will see what happens. 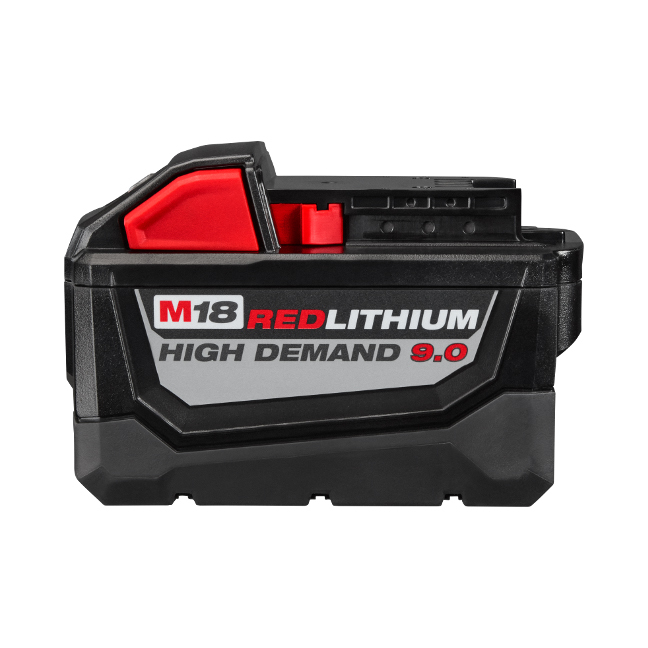 Milwaukee adds a 9.0 Ah High Demand battery to its M18 FUEL POWERSTATE Brushless Motors and REDLINK Plus Intelligence to power a range of new tools to replace corded tools on the job site. 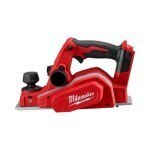 Lots of buzz on the internet about this saw with most first impressions being positive. Most want to get their hands on one to see if it lives up to the hype and exceptions. Look like high end products for professional users. Expect the pricing to be on the high side too, but worth it if they perform up to exceptions. Lots of other product launches scheduled for the coming months. 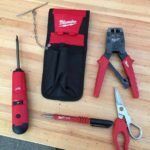 Milwaukee will be expanding its ONE KEY functionality with the addition tool security that will allow the shut down of ONE KEY tools and lockout thieves. Steelhead cut off wheels 4-1/2"
Detents for 15, 30, 45, etc. 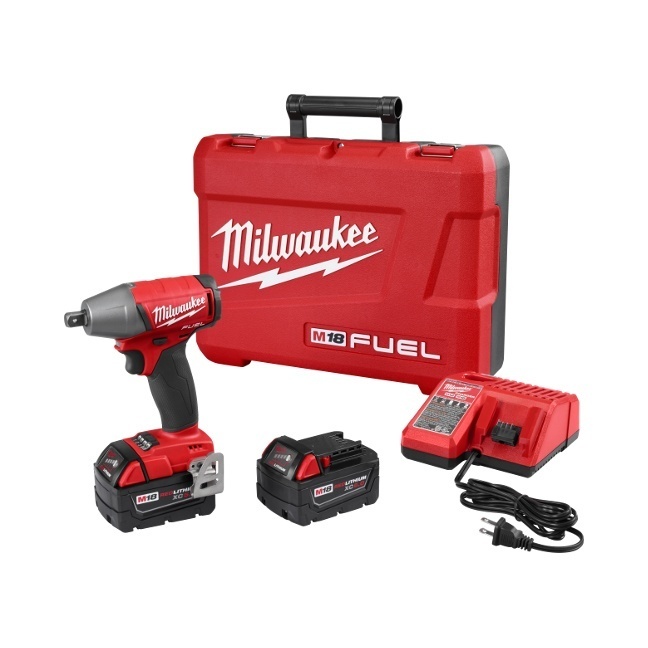 As you can see Milwaukee has been pouring more money into innovation and I would probably bet they are spending the most out of the all the power tool companies. 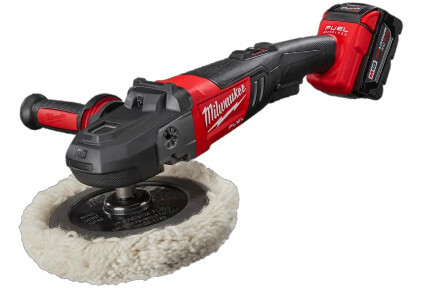 It will be interesting to watch over the next several months what Milwaukee will be rolling out with for new features on the ONE-KEY platform. 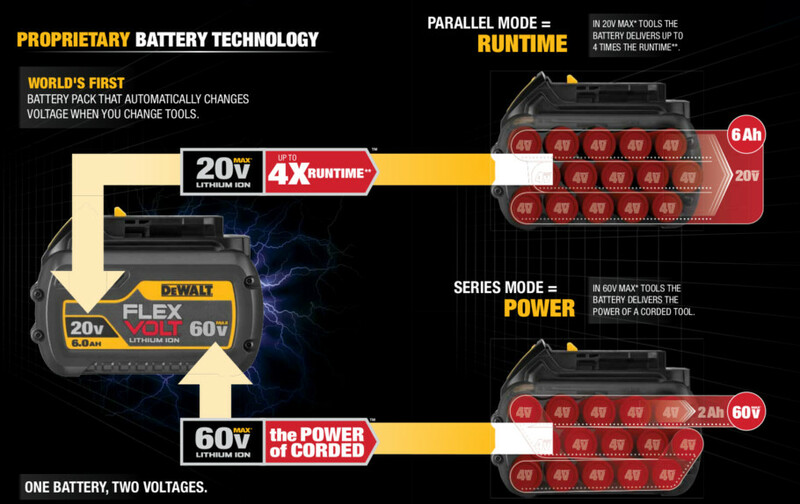 DeWalt introduces the FLEXVOLT™ battery platform. 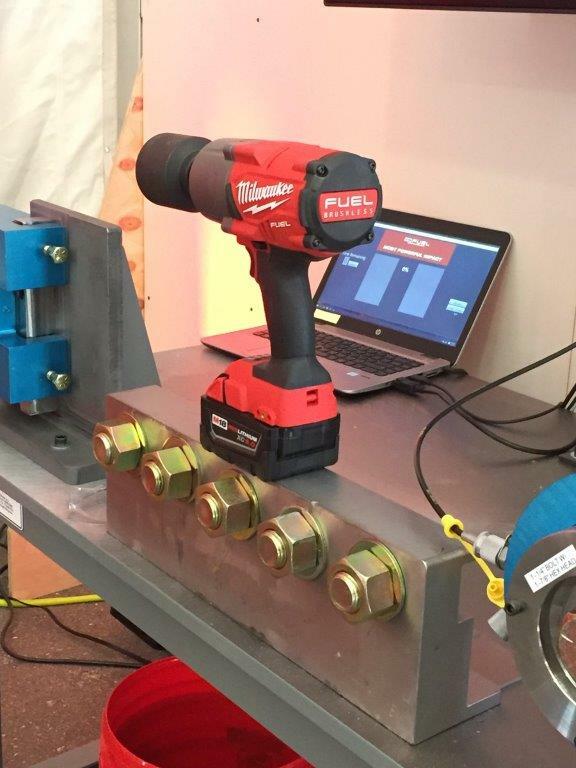 The world's first battery that automatically changes voltage when you change tools. The FLEXVOLT™ battery senses what type of tool it is on, becoming a 20V battery when put on a 20V MAX tool, a 60V battery on a 60V tool and combining with another 60V Max battery to deliver 120V on a 120V tool. 20V MAX tools draw 20V from the 60V FLEXVOLT™ battery with much longer runtime - 4X the runtime of a DeWalt 20V MAX compact battery. 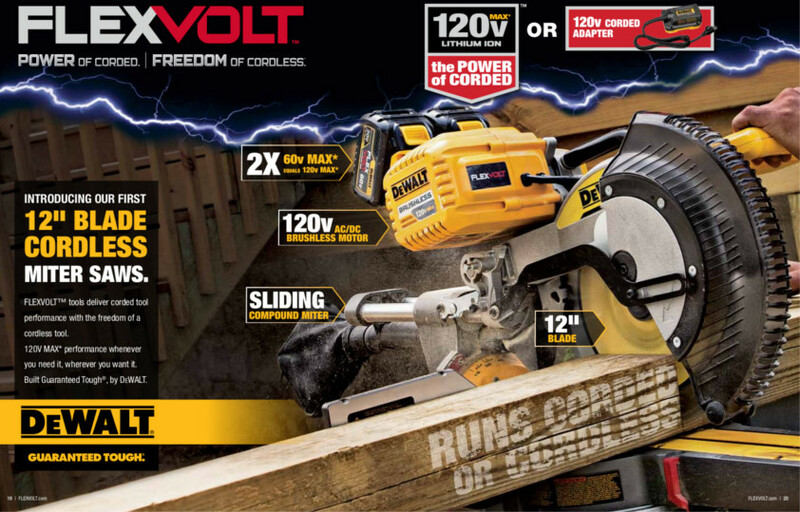 The FLEXVOLT™ is backwards compatible with all DeWalt 20V MAX tools and chargers. Plus DeWalt introduces new lines of 60V MAX and 120V MAX brushless tools to maximize the potential of the the new FLEXVOLT™. DeWalt also introduces new 20V MAX tools specifically designed for use with FLEXVOLT™ batteries. 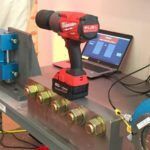 It will be very interesting to see how the FLEXVOLT™ platform stacks up against the Milwaukee and Makita 18V platforms that are being used to power their larger power drawing tools such as miter saws, circular saws and grinders. DeWalt holds patents on the FLEXVOLT™ which could prevent competitors from copying the technology directly. 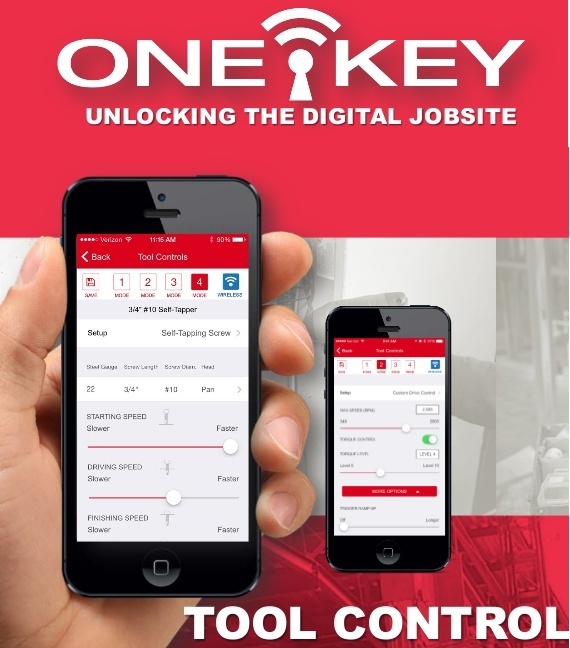 Milwaukee introduces ONE-KEY, the next step in unlocking the digital jobsite with more game-changing technology that delivers unmatched productivity by providing a new level of control and access to information for the core trades. View all M18 One-Key compatible tools here. Free-to-use, cloud-based platform is available for download through the web and mobile app. Keeping detailed record of tools, including non-Milwaukee brands, makes easy to build budgets and manage annual spending on equipment. ONE-KEY app recognizes all ONE-KEY tools within range. Manually add non-ONE-KEY tools and equipment. 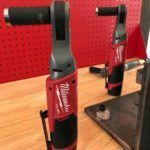 Milwaukee is initially targeting truck or small tool crib inventory management and will scale up functionality for larger organizations later. Provides time-based performance tracking of ONE-KEY tools. 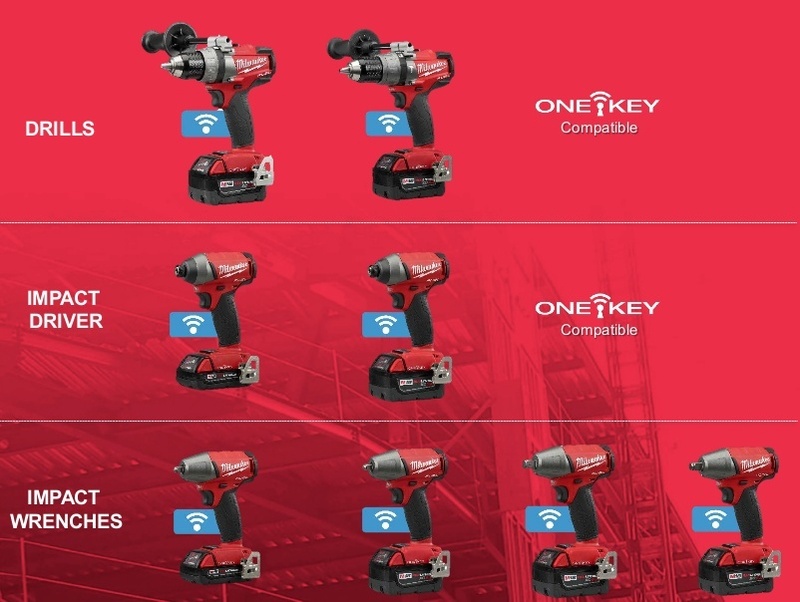 ONE-KEY tools wirelessly synchronize with the ONE-KEY app to upload data and history. Create custom reports that track tool performance. Assists in tracking utilization and service intervals. Makes it easier to mazimize uptime and keep inventory lean. ONE-KEY Tool Control allows users to customize mode settings on ONE-KEY tools. 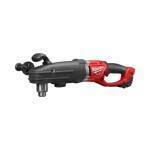 The first tools with tool control are the Milwaukee M18 FUEL Drill/Drivers. 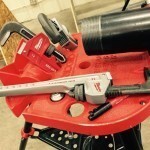 1/4″ Hex Impact Driver and 3/8″ & 1/2″ Impact Wrenches. Users will be able to change the factory settings for parameters such as speed and torque. Customized settings are “set-and-forget” – tools do not have to be in continuous contact with a smart phone for the settings to be in effect. 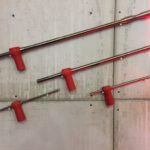 Custom settings should improve user productivity on repetitive jobs with fastener-specific profiles. With the touch of a button, users are able to choose between 4 different settings. Factory settings can be reverted to at any time. 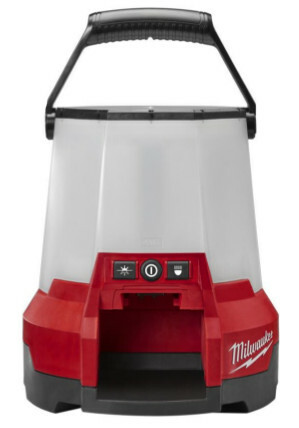 Milwaukee launches its 2015 line of M12 Heated Gear with new product design, improved heating performance and upgraded battery technology. 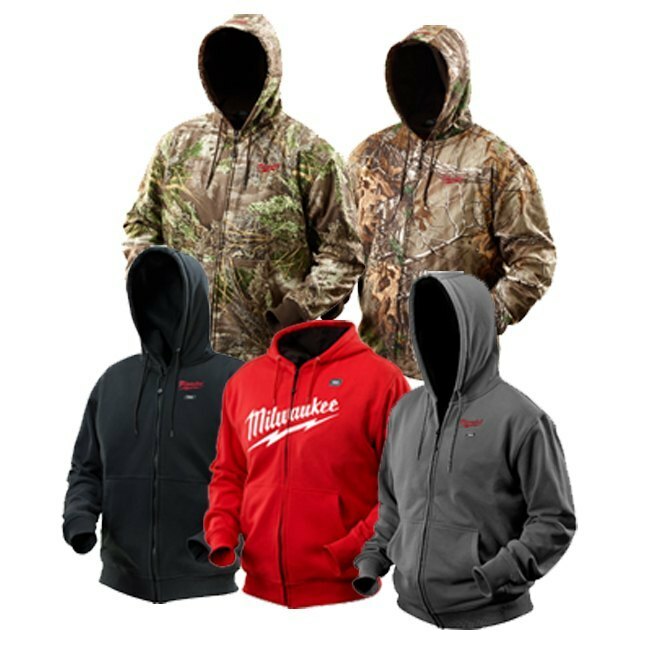 Milwaukee’s 2015 M12 Heated Gear Lineup includes (2) 3-in-1 Heated jackets, (4) heated jackets, (1) heated vest, (5) heated hoodies and (2) hand warmers. 1. All M12 Heated Jacket Kits and M12 Heated 3-in-1 Jacket Kits now come standard with 2.0Ah M12 REDLITHIUM batteries that deliver up to 8 hours of heat to the core zone and warmer heated pockets. 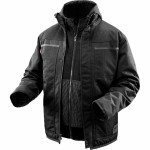 Combines a premium heated hoodie with a durable Ripstop shell featuring high-wear zone reinforcement that handles extreme job site conditions and abuse. Made with 900 Denier Ripstop reinforcement. 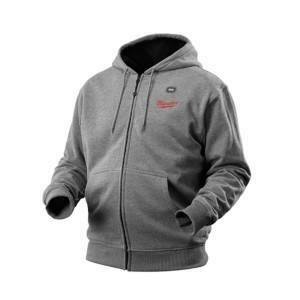 Front pockets and underarms are protected with abrasion resistant material. Shell is water and wind resistant. 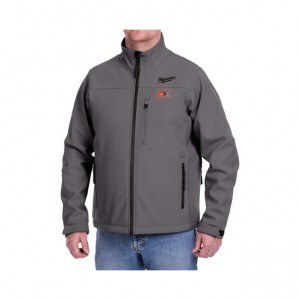 Extra protection from the elements is provided with a drop tail, extended collar and storm flap. Metal zippers ensure durability and long service life. Riveted and taped pockets provide protection from fraying and ripping. Triple stitching and seam reinforcement ensure longer life. 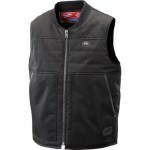 This is the first stand-alone heated vest to provide warm and maximum versatility in three seasons. Wind and water resistant material provides great outdoor comfort. 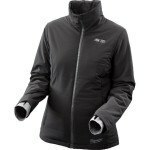 Drop tail and rib knit collar provide extra protection from the elements.. Features metal zippers, riveted and taped pockets and triple stitching just like the 3-in-1 Ripstop Jacket. Improved styling and design ensure a better and more comfortable fit. Heat is now distributed to the pockets as well as to the core zones and neck. Jacket kit comes with M12 REDLITHIUM 2.0 Ah batteries that deliver up to 8 hours of core zone run time. New Charcoal Grey matches side panels of Black and Red jacket design. 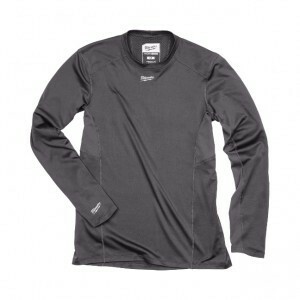 Also upgraded with an improved rib knit that provides better heat retention and more comfortable fit. 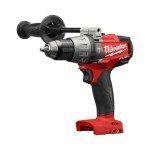 Milwaukee begins its 2015 new product launch with the completely redesigned M18 FUEL Brushless drills, hammer drills and 1/4″ Hex impact wrenches. The new GEN II M18 FUEL 2703 Drill, 2704 Hammer Drill and 2753 1/4″ Hex impact wrench are upgrades of the the popular 2603, 2604 and 2653 models. 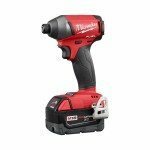 Complete redesign of the motor, gearbox and electronics delivers more power, smaller size in the most durable cordless drill. Motor is more compact, but 20% more powerful. 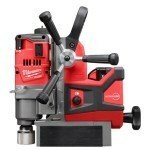 1/2″ metal single sleeve ratcheting chuck spindle connection has been beefed up from 1/2″ on the Gen I to 9/16″ on Gen II. New electronics package handles the increased power and higher heat generated. 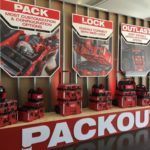 The 2704 hammer drill and 2753 impact driver will be packaged together as the new 2897-22 combo kit with 2 5.0Ah batteries to replace the popular 2797-22 combo kit. 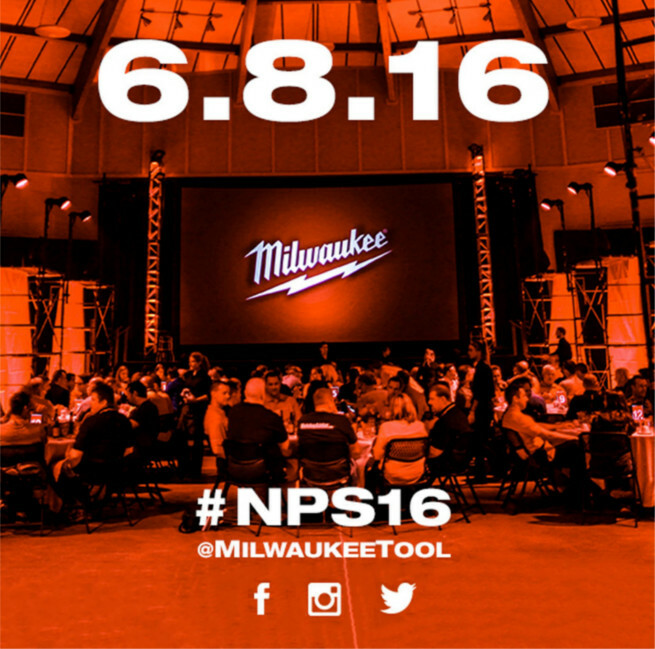 Looks like an exciting new product season from Milwaukee. Check back through the next weeks and months to find out more as the the new products become available. Charges 3 batteries at a time. Drives more power to each battery than other Milwaukee chargers for faster charging. 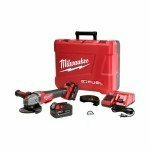 6 amps to M18 batteries compared to 3 amps by the Milwaukee 48-59-1812 Multi-Voltage Charger which takes 1 hour to charge one M18 battery. 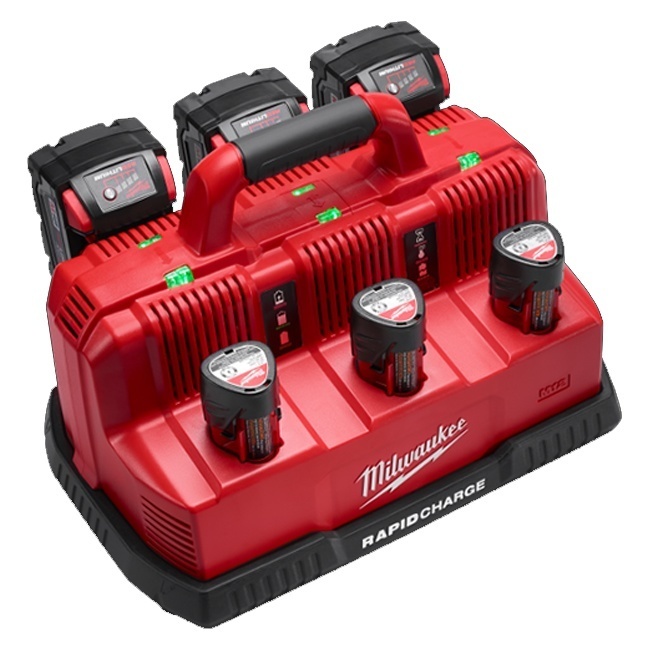 4 amps to M12 batteries compared to 3 amps by the Milwaukee 48-59-1812 Multi-Voltage Charger which takes 1 hour to charge one M12 battery. Looking down from above, the Charge Station is essentially 3 side-by-side chargers. To charge 3 batteries at the same time, plug a battery in each of the chargers. If 2 batteries are in one of the chargers, only one battery will charge at a time. The first battery plugged into that charger will charge first. 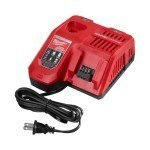 So if you want the 18V battery to charge before the 12V in Charger 1, plug the 18V first and the 12V second.